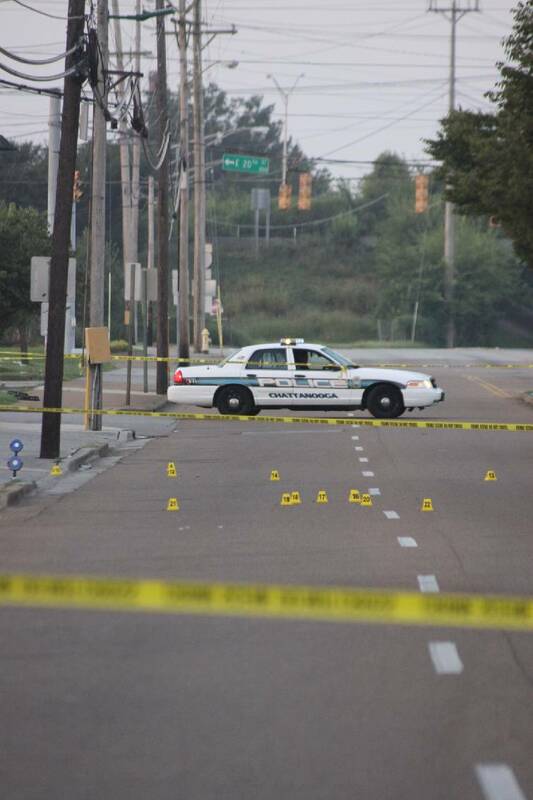 Chattanooga police investigate after a woman was shot to death on Market Street Sunday. Tennessee has been ranked tenth and Georgia ninth in the nation for their rates of women slain by men, according to a new report from the Violence Policy Center. The statistic, based on 2012 numbers, covers homicides involving one female victim and one male offender. Tennessee has ranked in the top 10 states under the rate for nine of the past 10 years, according to the center. "Since the passage of the Violence Against Women Act 20 years ago, the federal government and many states and communities have taken heroic steps to reduce domestic violence," stated center Legislative Director Kristen Rand. "Yet today, far more remains to be done to stop the epidemic of violence against women. The rate of women murdered by men in the United States is tragic and unacceptable." The Violence Policy Center has published When Men Murder Women annually for 17 years. During that period, the nationwide rate of women murdered by men in single victim/single offender incidents has fallen by 26 percent - from 1.57 per 100,000 in 1996 to 1.16 per 100,000 in 2012. For 2012, Tennessee's rate was 1.60 deaths per 100,000 population and Georgia's was 1.66. The number one state was Alaska with a rate of 2.57in 2012.